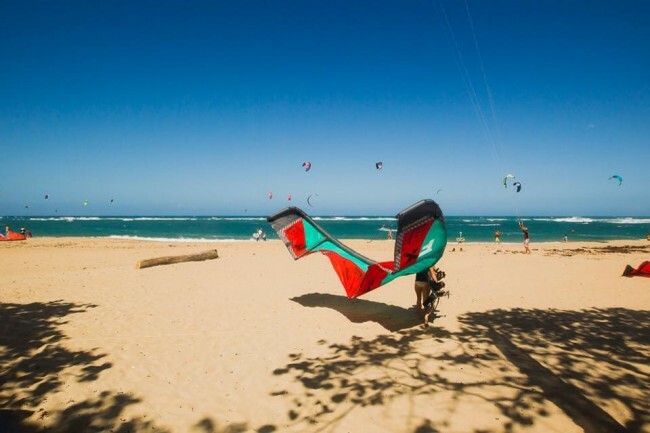 Cabarete is one of the most popular kiteboarding destinations in the world. Buying real estate along this beautiful bay of Cabarete is the trend! Cabarete beach offers many options for ocean sports enthusiasts. 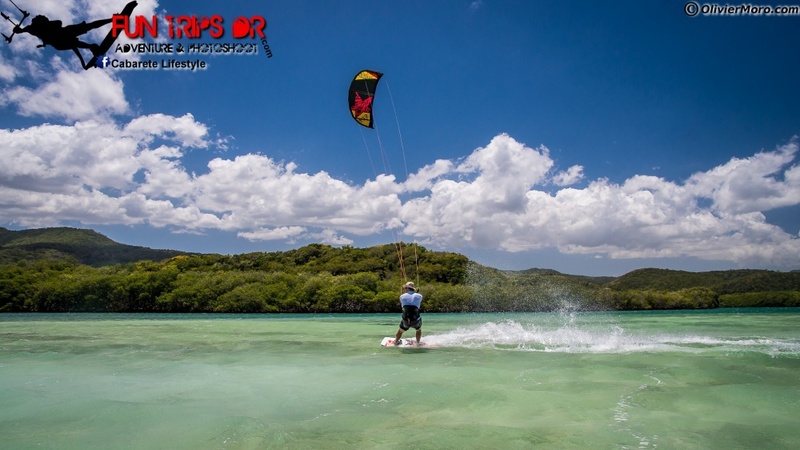 One of the most popular sports here in the Dominican Republic is kiteboarding and here you will find several schools to choose from, for lessons and rentals alike. Cabarete is the ideal location for kiteboarding, offering consistent side shore winds and consistent waves. In fact, it is one of the most popular kiteboarding destinations in the world. 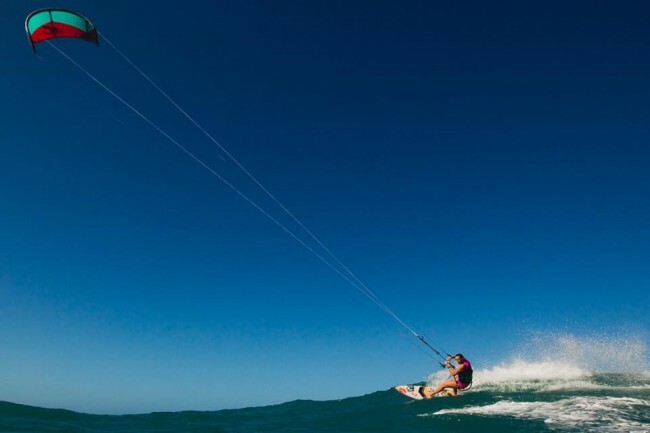 On a windy day, you will see a sky full of colorful kites hovering above the water, kiteboarders jumping and twisting in the air or surfing at high speeds across the turquoise waters. Cabarete beach is a paradise for those who love the sea and warm waters of the Caribbean. There are many options for those looking to rent or purchase a condominium or home near the water, making it convenient to take advantage of the many activities and sports available. 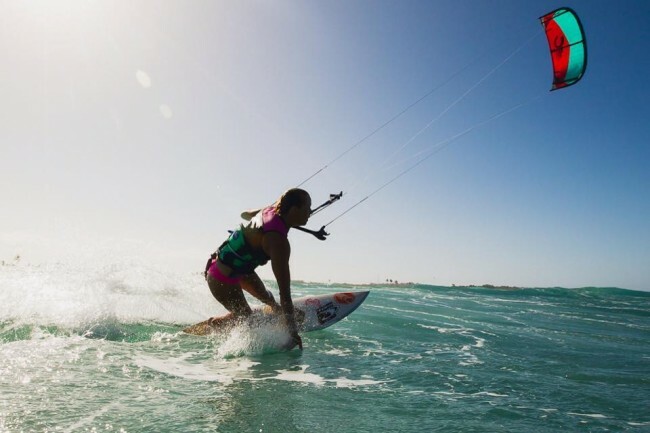 Making your way west on Cabarete beach you will find several excellent kitesurfing schools. Here is my favorite and learn about other schools as well. Special kiteboarding trips to a beach called Buen Hombre are offered by this amazing group of kites. Buen hombre is a wonderful unspoiled fisherman town west of Puerto Plata, and 35 km away from Monte Cristi, on the north coast of the Dominican Republic. Many of the schools are managed by foreigners who have come to the Dominican Republic to find a relaxed lifestyle, either renting or purchasing a beautiful home when they settle here. 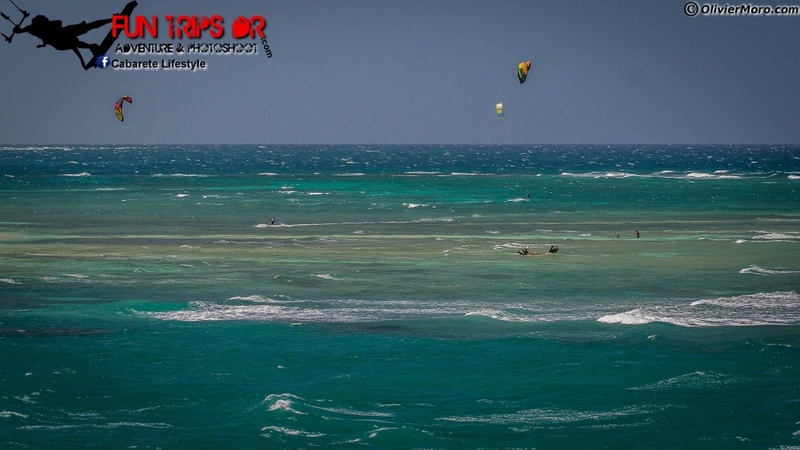 There are some other kiteboarding spots on the north coast of the Dominican Republic. You can, for instance, go to Playa Bergantine which is located between Sosua and Puerto Plata. However, one of the best kitesurfing spots on the north coast of the Dominican Republic is most certainly Buen Hombre. A 3-hour drive from Cabarete, this quaint little fishing town boasts some of the best beaches around. With frequent windy days at around 30 knots, flat and crystal clear waters await you. But don’t take our word for it, just look at the pictures below to get an idea of what it’s like. Sosua & Cabarete are more than just towns on the north coast of the Dominican Republic. They are filled with an allure that continues to entice visitors and residents from around the globe. People may first choose to visit Sosua and Cabarete for the weather or the promise of an adventure. However, they soon realize that there is so much more to experience. In fact, there’s something for everyone. From water sports and outdoor adventures to lazy afternoons in the shade of a palm tree, you can find it here. From quiet nights into dinner parties and dancing until dawn, the options are numerous. The natural beauty and rhythm of the north coast are found in the people that visit and live here. This is a place like no other. In fact, this video seems to capture that spirit of adventure in a unique way. Many people come here thinking they will find something new to discover in the world, and they do. However, many of them discover that there is always more to experience and enjoy that is waiting just around the corner. Why not discover it for yourself? At Select Caribbean, we welcome the chance to introduce others to our world here in Sosua and Cabarete. We live here and we love it! We also love to share this place with others and welcome you to our community of excitement and wonder. Whether you are seeking the vacation of a lifetime or a new place to call home, we want to help make your dreams a reality, right here.